Frank, a continuing client of BsnTech Networks, requested that we make another website for his line of businesses. This time, it was for 911 Credit Masters. He provided us the exact requirements of how he wanted the website setup and completed. This allowed us to complete the website quickly and to his expectations. Today, the website was fully approved and is published! We appreciate the continued support and business from Frank. 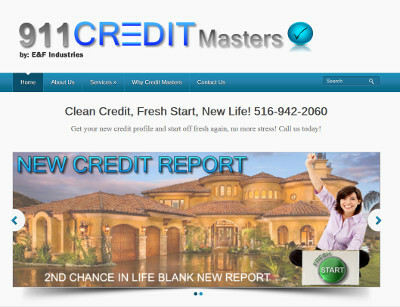 His new website is at 911creditmasters.com.